"It's a privilege and honor to welcome Chris King to the Democratic ticket. 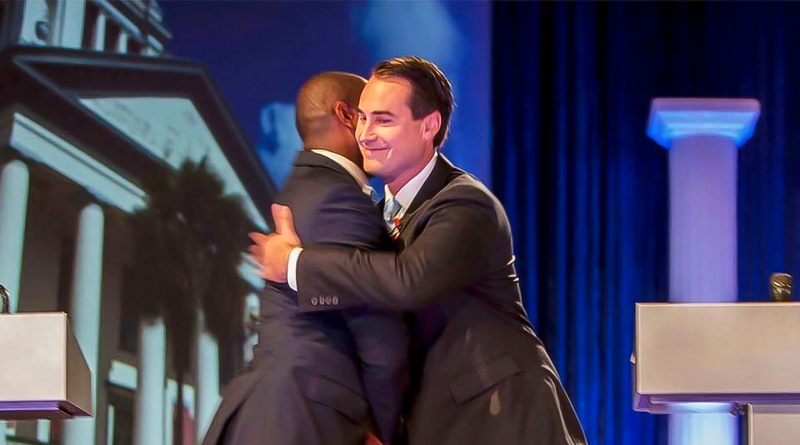 Together, Mayor Gillum and Chris King represent the future our state: energetic, innovative, and ready to fight for Florida's working families. Chris King will bring new and dynamic leadership to Florida, and his innovative policy ideas and business acumen will help rebuild our state after twenty years of Republican rule. Chris is a progressive entrepreneur who knows how to create good-paying jobs — and as our next Lieutenant Governor he'll fight to expand access to health care and ensure every Floridian has a fair chance to succeed. "The contrast between the Gillum-King and DeSantis-Nuñez ticket could not be greater. Chris King is a progressive entrepreneur with innovative policy ideas to move us forward — while Jeanette Nuñez is a long-time Republican insider and lobbyist. Chris King is a champion for women's health freedom, while Jeanette Nuñez voted to defund Planned Parenthood and for mandatory ultrasounds. Mayor Gillum and Chris King believe in a women's right to choose. Ron DeSantis and Jeanette Nuñez do not. Mayor Gillum and Chris King want to expand access to health care, while DeSantis and Nuñez have voted to take away care from hundreds of thousands of Floridians. DeSantis-Nuñez represent the worst of twenty years of Republican attacks on women and working families, while Mayor Gillum and Chris King are fighting for a Florida that protects women's health freedom and lifts everyone up."